X-Plus and master sculptor Ryu Oyama are teaming up again to bring you yet another fantastic Godzilla vinyl! Based on Godzilla's appearance in the 1954 film and a previously released garage kit, this highly detailed vinyl figure features the King of Monsters chomping down on a train. 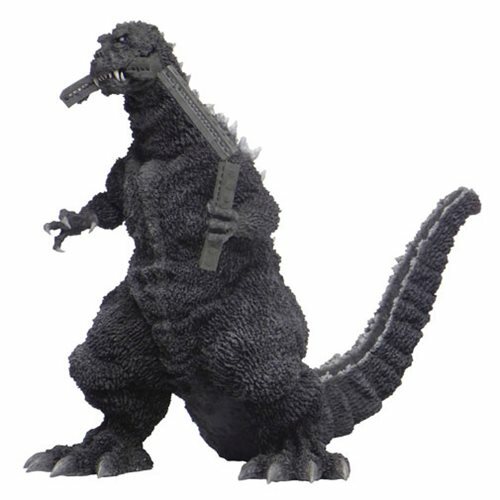 This Godzilla 1954 Train Biting Version 13-Inch Vinyl Figure - Previews Exclusive measures about 13-inches tall x 16-inches long! Ages 15 and up.